When I saw Dunedin were offering tea to bloggers I didn't hesitate at getting in touch, I drink far too many cups of tea if that is even possible and have a small collection of teapots so you could say I'm a bit of a fan. I'm always dying to try new flavours of tea and luckily I got to pick 3! I went for ones which were all slightly different to each other just to mix it up a bit. Not only did they send me tea but I also got this super adorable Manatea tea infuser! I've only ever had loose leaf tea in tea shops so I was fairly excited. 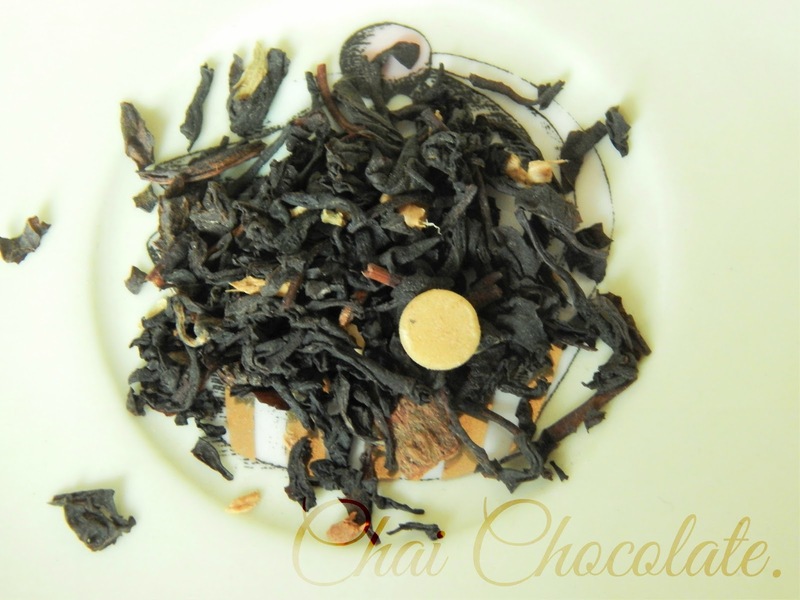 First up Chocolate Chai I love Chai tea so a Chocolate infused one sounded far too perfect, it's described as ' A full-bodied Assam base with sweet white chocolate pieces and caramel flavouring, added with a heady blend of spices from the Malabar coast of India.' What I loved about the Chocolate Chai was that it had little chocolate pieces in it, sadly this didn't really give the tea much flavour, to me it was mostly a spicy Chai flavouring with a slightly sweet after taste. It was really nice though my second favourite of the three. It had quite a minty smell which was different but welcoming. Next up I tried the Scottish Caramel flavoured tea, as soon as I opened the packet I was hit with the sweetest caramel smell, it was amazing. It's described as 'Dessert in a cup. 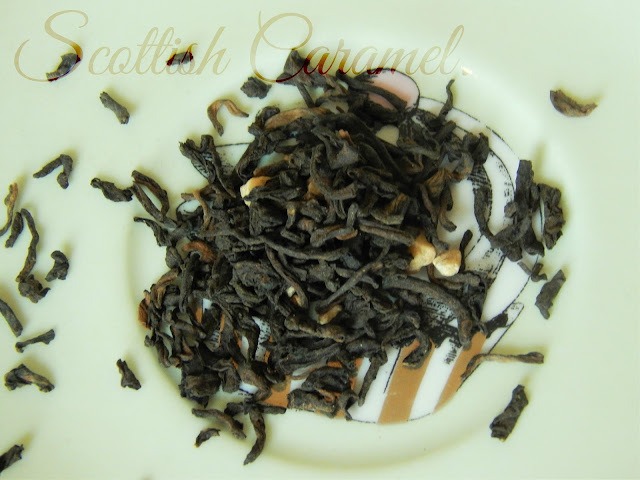 The earthiness of pu-erh fuses wth caramel for a sweetly decadent finish'. Once you stop yourself smelling the packet and your mouth is watering pouring a cup of this is just perfect. The only way I can describe the taste is like drinking melted Worthers Originals, it's definitely favourite of the three and I have no doubt I'll be buying some more once I've drank the rest of this packet. Finally there was Winter Spice. we all know that anything with cinnamon is instantly a winner with me, we all know it's my favourite spice and I love it ridiculous amounts. 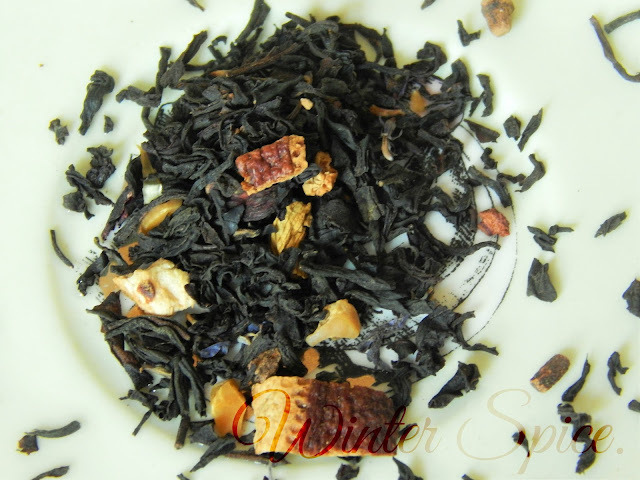 However this tea was such a let down for me, it was describes as - 'A delightful blend of cinnamon and winter spices infused with the finest Ceylon black tea. The perfect cup for a cold winters night.' To me it was just meh, it had a slightly medicinal scent like the smell you get when you walk into a chemists or open cough medicine haha. As for the taste the only way I could describe it is quite earthy, I know probably sounds funny but it's the only way I can think of. I'm sure others would enjoy this but it just wasn't for me. I'm going to give the rest of the packet to my Granda I'm sure he'll love it haha. I spent an entire Sunday morning sampling teas and reading books, it was the nicest way to spend a Sunday ever honestly. I'd recommend it to all haha. Dunedin have an amazing selection of tea on their site so if I was you I'd head over and have a look, their prices are ideal too! Thank you Dunedin for giving me a chance to try and load of new flavours, I'm sure I'll be ordering some more soon! What's your opinion on flavoured tea? What is it about loose leaf tea that makes you feel proper posh? I used to drink loose leaf green tea when I worked in Leeds and I drove everyone mad hahaha.